This weekend in the Docklands: The Anatolian Cultures and Art Festival, New menu at Bucther’s Grill, and LAST CHANCE to win a trip to London! Lap up the sunshine and breathe the salt sea air at Docklands this weekend. Just over the bridge, Docklands is a little piece of somewhere else, right here in the city. Enjoy a sunlit lunch on the grass, or take a table at one of Melbourne's freshest restaurants. Escape to the seaside and pick up a bargain while you’re here. It’s the last weekend of summer, so come and join us for the festivities! Ride, walk or run around parklands dotted with modern art. Gaze over the calm, blue harbour – or get out on the water. This weekend, Istanbul Culture & Arts Centre in collaboration with Melbourne Young Businessmen Association are holding the second Anatolian Culture and Arts Festival this year at Docklands. Enjoy a day of exhibitions, folk dances, wrestling demonstrations, concerts performed by artists from Australia and Turkey, and most importantly, traditional foods! What better way to learn about a culture than to enjoy its food? And if the flyer is anything to go by, looks like there’ll be levitation on the cards! This is a chance to immerse yourself into another culture through this great event. Anatolia is the homeland of not only the Turkish but also people from many different nations. The event will be on the 26th and 27th of February 2011 from 1.00 pm to 10.30 pm. IT IS A FREE EVENT! Concerts performe d by a Turkish celebrity rock group who will be coming to Australia just for the event. Replicas of a sect ion from the historical Grand Bazaar of Istanbul. Folk dance performances from three different regions of Turkiye. A march of the historical military band of Turkiye. Turkish classic and folk music choir performance. Live presentations of traditional Ottoman Arts. Mevlevi "Sema" (Whirling Dervishes) presentation and music. Screening of Anatolian Cultural Documentary via outdoor screens. Stalls of traditional Turkish Food. The new menu at Butcher’s Grill Waterfront City is now in full swing! If you haven’t been to this restaurant, we recommend you stop by and try some of the fantastic new dishes. We love the Beetroot cured salmon with a celery, apple and walnut salad for starters. You can’t go past the grilled lamb loin with pea puree, salted grapes and flamed capsicum jus or Šnicla – pork fillet filled with smoked ham and cheese served with spring onion and potato salad for mains. Don’t forget desset - Home-style baklava roulade with Halva ice cream or the Krofne - Mediterranean style doughnut with an apricot glaze and cream were our top picks. Have a look at their full menu here! tition closes Monday 28th February! Simply spend $10 or more at NewQuay, Waterfront City or Harbour Town and keep your receipt, then tell us in 50 words or less what you love about Melbourne Docklands. On Sunday 6th March 2011 the annual Emily Tapp Melanoma Foundation MARCH for MELANOMA will be held in the Waterfront City Piazza and surrounding Docklands precinct. The event involves a 4km walk commencing at 3.30pm which will start and finish in the Waterfront City Piazza. Participants will make their way through Harbour Town Shopping Centre and around the Docklands precinct to complete the course. African musicians will be there to start the walk and welcome the back the participants. Registration will open at 12pm in the Waterfront City Piazza and the event is expected to finish at 5.30pm. 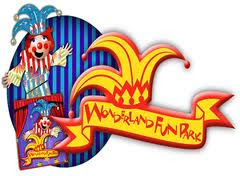 Wonderland Fun Park is a sensational new fun park located at Harbour Town Shopping Centre, Melbourne Docklands. We offer many differing rides and attractions throughout the year, plus family favourites like: Dodgem Cars; Giant Slide; The Grand Carousel; The Tea Cup Ride; Jurassic Adventure, Bungee Trampoline and more. Perfect for birthday parties, or corporate companies can hold their Family Days here, enjoying the carnival atmosphere and the central location. Check the web site out for special events and Family Savers coming up. Operating Hours: Weekends, public and school holidays from11am. It's Medibank Icehouse’s 1st Birthday! Medibank Icehouse is turning one, and to celebrate the milestone, they’re offering 1/2 price tickets to all General Skating and Recreational Curling sessions from Sundays - Thursdays! The offer runs throughout the whole of February and March – it’s their first ever birthday, so they want to make it a long party! Bring along your family and friends to join in the fun and take advantage of this special birthday deal. Tickets can be purchased at the Medibank Icehouse ticket counter. Docklands Summer Competition has been extended! 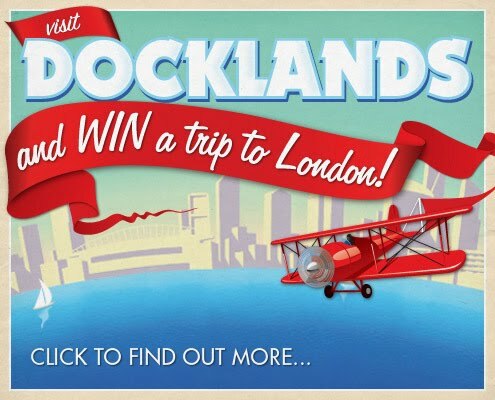 Visit Docklands and win a Trip to London! Melbourne Docklands are giving away the trip of a lifetime. Visit Docklands between 17th January and 11th February to be in the running. 1st prize is a trip for a family of four to visit the London Docklands for one week valued at $13,000. Spend summer at Docklands in Melbourne then escape our winter and enjoy some London summer fun! 2nd prize is a wonderful night’s accommodation for a family of four at the Grand Mercure Docklands, dinner for a family of four at James Squire Hotel at Waterfront City and a family pass to Wonderland Fun Park. 3rd prize is a delicious dinner for a family of four at James Squire Hotel at Waterfront City and a family pass to Wonderland Fun Park. Spend $10 or more at NewQuay, Waterfront City or Harbour Town and keep your receipt, then go to Docklands.com and tell us in 50 words or less what you love about Melbourne Docklands. Every foodie pilgrimage should include a visit to Mecca Bah. Be instantly transported to the informal, communal dining style of Morocco and the Middle East with Mecca Bah's tantalising selection of mezze dishes. After something savoury, turn your attention to the dessert menu and be charmed by the mahalabia, a milk and rosewater panna cotta with marinated summer berries. All the more delicious because it’s free. Make sure you present your voucher. The largest outdoor lifestyle event of 2011 comes to Docklands this weekend. 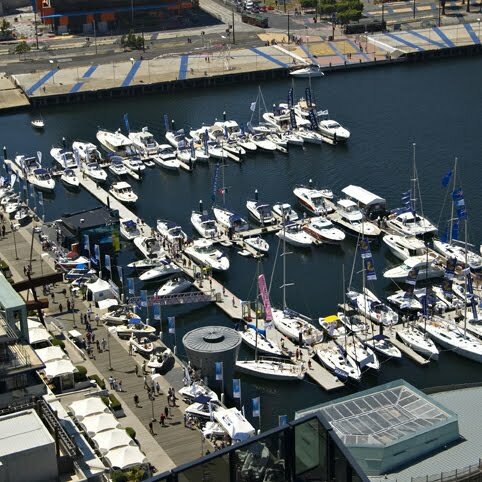 The Melbourne International Boat and Lifestyle Show has something for everyone. There’s gourmet food, wine, fashion, travel/holiday information, luxury boats on the water and free interactive activities. Live it up with 'come try’ sailing and canoeing, boat rides, live music, stage activities, giveaways, information clinics and talks from leading identities in their fields. Melbourne Talk Radio MTR1377 will also be getting to know the locals, broadcasting live from Waterfront City piazza. Tune in at 3pm to hear some of Docklands favourite chef’s chat with host Glen Ridge. Yum Cha Dragon’s new years resolution must be to reward their customers. Australia’s favourite yum cha restaurant are celebrating the Year of the Rabbit this Sunday with fantastic offers for their guests. Dine at Yum Cha Dragon for your chance pick up some great giveaways. The goodies up for grabs though out the day include Lucky Red Envelopes and dining vouchers. It’s your last chance to see this amazing show. If you fancy an intimate evening of hot music and hotter talent, the Blue Show is for you. Join the Circus Oz crew in their 100 year old Melba Spiegeltent for the last of their Midsumma Festival shows. The Blue Show unleashes the breathtaking and unrestrained skill of the Circus Oz ensemble, all bent, enhanced, twisted and warped for an adult audience. Find the Circus Oz Melba Spiegeltent at the Corner of Waterfront Way and Docklands Drive. Shows 9pm daily. Remember to keep your receipts. 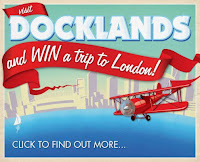 Docklands Melbourne are giving away an exciting trip for 4 to London. Dine, Shop & Play at Docklands to be in the running. Spend $10 at any Waterfront City or NewQuay restaurant and enter online. Visit www.docklandsmelbourne.com.au for a list of participating venues. 1st Prize: Trip for 4 people to London worth $13,000. 2nd Prize: 1 nights accommodation for four at the Grand Mecure Docklands, Dinner at James Squire Hotel and a family pass to Wonderland Fun Park. 3rd Prize: Dinner for four at James Squire Hotel and a family pass to Wonderland Fun Park.